Julaine R. Mokren, 80. 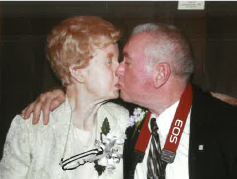 Beloved wife of 57 years to the late Robert J. Mokren. Devoted mother of Linda (Gary) Wright, Julienne (John) Murray, and Robert (Tara) Mokren. Loving grandmother of Brad (Jen), Amie (Joe), Matt, Megan (Corey), Abby, Alex, Kayden, Kaylee, Landon, Bella, Luke, Korbin, Kara and Cordelia “Tiny”; and great-grandmother of Charlie. She was pre-deceased by her husband, Bob, and by her parents, J. Lysle and Hazel (Trapnell) Rodig. In addition to her children, grandchildren and great-grandchild, Julaine is survived by her sister-in-law Jane, former sister-in-law Bobi, nieces and nephews Frederic (Esther), Jeni (Adolfo), Chris (Laura), Trisch, Sami, Abbey, Simon, Oliver, Sophia and Kylee; as well as cousins and several dear, dear friends. Julaine was born on August 12, 1938 in Cleveland, Ohio. She was a graduate of James F. Rhodes High School in Cleveland and a proud 1960 graduate of the Scripps College of Journalism at Ohio University in Athens, Ohio. After graduation, she worked as a reporter for the Berea News in Berea, Ohio, until the birth of her first child. The family moved to Cincinnati in 1963, and Julaine began attending St. James Episcopal Church in Westwood shortly thereafter. When the church discovered her talents as a writer, she was asked to take on the duties of producing the church newsletter, and she served as the editor of the St. James Journal for 40 years, until 2013. She also faithfully worked as the secretary at the church for 30 years, and in many volunteer leadership roles. Serving God and the people of St. James was truly her heart and soul. Julaine enjoyed gardening, bowling, shopping and attending Broadway musicals. She and Bob loved to travel, especially their yearly trip to Gatlinburg and the Smoky Mountains with friends. She collected cardinals and lighthouses and loved to send greeting cards for all occasions. A resident of Delhi Twp. for over 50 years, Julaine died peacefully on Monday, January 28, at Ohio Living Llanfair after a long journey with Parkinson’s Disease. Visitation will be held at Dalbert, Woodruff & Isenogle Funeral Home, 2880 Boudinot Ave, on Saturday, February 2 from 3 to 5 p.m. A second visitation will be held at St. James Episcopal Church, 3207 Montana Ave, on Monday, February 4, from 9:30 a.m. to start of service at 10:30 a.m. If desired, memorial contributions can be made to St. James Episcopal Church. In her honor, the family suggests that you send a card to someone you love. Family being cared for by Dalbert, Woodruff & Isenogle Funeral Home.